Kids hangers in bright colours. Choose from our wide range of childrens clothes hangers in handy pack sizes. Buy children’s coat hangers at low prices now. We have hangers for the smallest of outfits to larger sizes for when your kids get older. Plus we sell both plastic children’s hangers and also wooden children’s hangers. Order kids hangers in small packs starting at only 10. Need more hangers? No problem! Also, order box quantities if you need more children’s clothes hangers. We manufacture a wide range of plastic kids hangers in our factory in Co. Louth, Ireland. 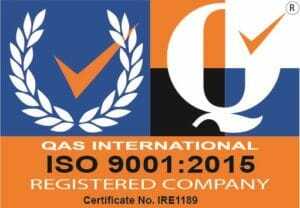 Established in 1936 we are the only manufacturer of childrens hangers in Ireland. As a result we sell kids hangers at the best prices. Buy direct from the factory and save money! We sell a wide range of plastic kids hangers for hanging tops, trousers, skirts, dresses and shirts. Our plastic childrens hangers are perfect for keeping littles ones bedrooms tidy and free of clothes clutter. Also, the slim flat finish of our plastic hangers saves space on garment rails. Plus the smooth finish will not damage clothes or little fingers! Hang baby outfits and toddlers clothes on our beautiful C6 plastic baby hangers. Made in a range of bright colours including blue, pink, green, red and yellow. They are also 26cm wide and complete with trouser bar, ideal for hanging young children’s suits. Morevover, they are a lovely gift for baby showers and Christenings. We also sell wooden kids hangers for hanging skirts and trousers. Choose our extra strong 30cm wide clip hanger WWCP30. Made with adjustable strong metal clips which hold trouser and skirts without damaging them. Plus, the extra strong clip hanger is perfect for hanging heavy garments such as jeans. Kids love our colourful childrens tops hangers made in gorgeous blue, pink, yellow, green and red. Our ECOD range is a best seller, made in 26cm, 30cm and 36cm sizes. As a result it is perfect for hanging tops and t-shirts in sizes from baby and todlers to older children. Plus use the lower garment hooks to hang the loops and straps of dresses and skirts. In addition, hang a lot of tops in a wardrobe with the space saving, flat finish. We also make kids tops hangers in plastic with extra strong metal hooks that swivel for ease of use. Choose between 30cm and 36cm sizes and secure dress and skirt loops over the shoulder notches. Hang shirts and blouses using our children’s shirt hanger, B41. The specially designed neckline stops collars from creasing. This 41cm wide hanger also has under loop hooks for hanging skirts and dresses. We make a beautiful all plastic childrens trouser hanger with adjustable clips that don’t mark garments. This 28cm wide trouser hanger with plastic hanger is available in blue, pink or white. Also, use the clips to hang skirts. We also make the H1, a 27cm wide kids trouser hanger. Hang trousers by folding them neatly over the trouser bar and secure them with the under bars. Additionally, it comes with a strong swivel chrome hook. Our best selling kids clip hanger is the 28cm wide, CLX28B. Hang a wide range of size trousers and skirts because of the adjustable plastic clips. Also, we make it with a strong metal hook. Promote your company with printed kids hangers, a very effective form of advertising. We print in one colour on to the central oval shape label area. 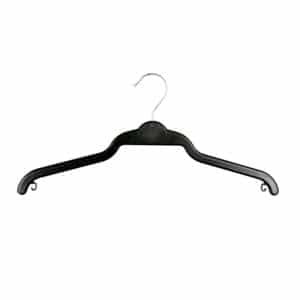 To find out further details about printed hangers read more. We keep large stocks of kids coat hangers in our factory in Co. Louth, Ireland. As a result we offer fast delivery across Ireland and UK of usually just 1 to 5 working days. FREE delivery on orders over €75 + VAT (or Sterling equivalent). Order kids clothes hangers in only a few clicks thanks to our super fast and secure PayPal Express checkout. Pay by credit card, PayPal account and also bank transfer. Buy children’s hangers now.